Tenax Therapeutics Inc (NASDAQ: TENX) shares jumped 128.45 percent to close at $10.60 on Thursday as the company reported the publication of preclinical data showing added evidence of levosimendan treatment effects in pulmonary hypertension. Jason Industries, Inc. (NASDAQ: JASN) rose 24.66 percent to close at $2.73. Jason Industries reported Q4 adjusted loss of $0.01 per share on sales of $145.5 million. Eastside Distilling, Inc. (NASDAQ: EAST) shares gained 17.44 percent to close at $6.33. Xenon Pharmaceuticals Inc. (NASDAQ: XENE) shares jumped 17.33 percent to close at $4.40. Heritage-Crystal Clean, Inc (NASDAQ: HCCI) rose 17.25 percent to close at $23.45 after the company reported Q4 results. Innovate Biopharmaceuticals, Inc. (NASDAQ: INNT) climbed 16.92 percent to close at $6.15. Veritiv Corporation (NASDAQ: VRTV) surged 16.29 percent to close at $28.20 following Q4 results. AxoGen, Inc. (NASDAQ: AXGN) shares gained 16.27 percent to close at $33.95 as the company posted a narrower-than-expected quarterly loss. LendingClub Corp (NYSE: LC) shares climbed 15.87 percent to close at $3.65. Harmonic Inc. (NASDAQ: HLIT) rose 15.70 percent to close at $3.50 following Q4 results. Hostess Brands, Inc. (NASDAQ: TWNK) gained 15.44 percent to close at $14.13 following upbeat Q4 results. Town Sports International Holdings, Inc. (NASDAQ: CLUB) shares rose 13.79 percent to close at $6.60. Town Sports International reported Q4 earnings of $0.76 per share on revenue of $105.3 million. Adamis Pharmaceuticals Corporation (NASDAQ: ADMP) gained 13.33 percent to close at $3.40. 3D Systems Corporation (NYSE: DDD) rose 13.05 percent to close at $10.74 following strong preliminary results. FLY Leasing Limited (NYSE: FLY) gained 12.74 percent to close at $13.10. OptimumBank Holdings, Inc. (NASDAQ: OPHC) shares rose 12.17 percent to close at $4. 24 on Thursday. Celadon Group, Inc. (NYSE: CGI) gained 11.69 percent to close at $4.30 on Thursday. 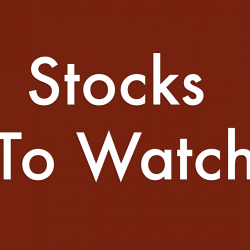 Recro Pharma Inc (NASDAQ: REPH) rose 10.88 percent to close at $9.99. Sothebys (NYSE: BID) gained 9.96 percent to close at $50.78 as the company posted upbeat Q4 results. Triple-S Management Corp. (NYSE: GTS) gained 9.75 percent to close at $26.67. Triple-S Management reported Q4 adjusted earnings of $0.94 per share on operating sales of $706.8 million. AmTrust Financial Services Inc (NASDAQ: AFSI) shares surged 9.19 percent to close at $13.07 as the company disclosed that Stone Point Capital and Karfunkel family and the CEO will purchase the company at $13.50 per share in cash. Crocs, Inc. (NASDAQ: CROX) rose 5.56 percent to close at $12.92. PiperJaffray upgraded Crocs from Neutral to Overweight. Novavax, Inc. (NASDAQ: NVAX) rose 4.61 percent to close at $2.27 after management announced the NanoFlu Vaccine demonstrated improved immune responses over alternative flu vaccines. Pain Therapeutics, Inc. (NASDAQ: PTIE) surged 4.31 percent to close at $6.78 as the company reported that the FDA has accepted REMOXY NDA for review. Portola Pharmaceuticals Inc (NASDAQ: PTLA) shares tumbled 25.43 percent to close at $31.56. Portola Pharma reported Q4 loss of $1.41 per share. Sorrento Therapeutics Inc (NASDAQ: SRNE) dropped 24.12 percent to close at $7.55. Patterson Companies, Inc. (NASDAQ: PDCO) fell 23.67 percent to close at $24.105 following weaker-than-expected quarterly earnings. Box Inc (NYSE: BOX) fell 23.32 percent to close at $18.45. Box posted a narrower-than-expected loss for its fourth quarter, but issued weak revenue guidance for first quarter and fiscal year. Colony NorthStar, Inc. (NYSE: CLNS) shares dipped 22.88 percent to close at $6.00 on Thursday. Colony NorthStar reported a Q4 GAAP loss of $0.69 per share and announced a $300 million buyback plan. Wageworks Inc (NYSE: WAGE) shares declined 18.59 percent to close at $42.70. Cross Country Healthcare, Inc. (NASDAQ: CCRN) fell 17.3 percent to close at $10.71 following downbeat quarterly earnings. Monster Beverage Corporation (NASDAQ: MNST) declined 14.44 percent to close at $54.22 after the company reported weaker-than-expected results for its fourth quarter on Wednesday. L Brands Inc (NYSE: LB) fell 13.87 percent to close at $42.49. L Brands reported better-than-expected earnings for its fourth quarter, but issued a weak forecast for the current quarter. Greif, Inc. (NYSE: GEF) fell 13.24 percent to close at $49.95 following downbeat quarterly earnings. Ballard Power Systems Inc. (USA) (NASDAQ: BLDP) dropped 13.1 percent to close at $3.25 as the company reported Q4 adjusted loss of $0.01 per share. Zosano Pharma Corporation (NASDAQ: ZSAN) shares fell 12.5 percent to close at $5.46. Fang Holdings Limited (NYSE: SFUN) shares dropped 11.07 percent to close at $4.50 on Thursday. Community Health Systems, Inc. (NYSE: CYH) declined 10.55 percent to close at $4.58. Fulgent Genetics, Inc. (NASDAQ: FLGT) shared declined 10.02 percent to close at $4.31 following Q4 results. CommerceHub Inc (NASDAQ: CHUBA) shares fell 9.94 percent to close at $17.85. MGP Ingredients Inc (NASDAQ: MGPI) shares fell 8.83 percent to close at $76.51. MGP Ingredients reported Q4 earnings of $0.74 per share on revenue of $88.2 million. WPP plc (NYSE: WPP) shares fell 8.38 percent to close at $87.19. WPP reported FY17 preliminary sales of $19.703 billion. Corium International Inc (NASDAQ: CORI) dropped 6.92 percent to close at $12.10. Corium priced offering of $100 million of 5% convertible senior notes. Concert Pharmaceuticals Inc (NASDAQ: CNCE) shares tumbled 3.84 percent to close at $21.04. Concert Pharmaceuticals reported a Q4 loss of $0.26 per share.